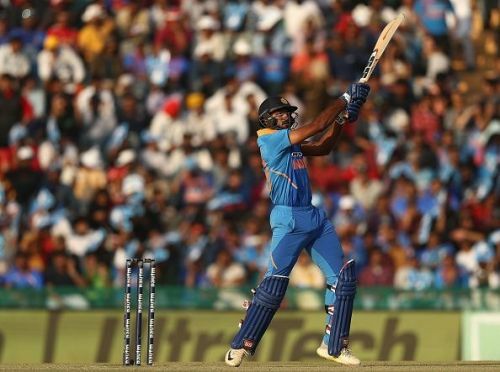 In the ongoing ODI series against Australia, Vijay Shankar has emerged as the new finisher for the Indian team in absence of Hardik Pandya. The seam bowling all-rounder has done a fair job in the series as he has scored 104 runs in 3 innings at a strike-rate of 120.93. In those 3 innings, Shankar has hit 10 fours and 3 sixes and almost all of them were proper cricketing shots. But, Vijay does not have the modern day cricketing shots that have become a pre-requisite for every lower order batsman in the world. If you look the Australian finishers, players like Glenn Maxwell, Ashton Turner and Marcus Stoinis have got the modern-day shots in their arsenal. They have used them to perfection and have often won the matches for their team. The main advantage that these modern-day shots like the ramp shot, the scoop, the reverse sweep and the uppercut have is that the bowler never expects the batsmen to play these shots. At the same time, the finisher needs to make sure that he can blend these modern-day shots with the proper cricketing shots so as to dominate the bowlers. 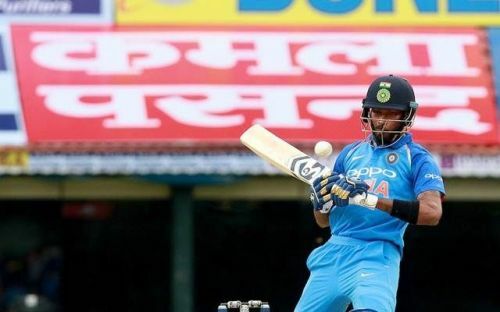 Vijay Shankar and Kedar Jadhav both struggled to score boundaries in the death overs yesterday as they tried to hit the ball with proper cricketing shots and never tried to play a shot out of the coaching menu. Even, Ravindra Jadeja has the same problem. He has failed to fire because he never plays out of the box. MS Dhoni prospered as a finisher because he used his raw power to smash sixes. Dhoni had the unique helicopter shot that gave him the upper hand over the bowlers. And even Dhoni used to blend his raw power with some shots behind the wicket and on the square to score runs at a quicker rate. Shankar can be a great no.4 or no.5 batsman with these skills but to be a finisher you need to play shots like these. Hardik Pandya made it to the Indian team so quickly because he was one of the very few Indian players who developed this modern technique of finishing the innings. Shankar and Jadhav could not smash a single boundary while staying at the crease for almost 4 overs in the death. Though Shankar hit a six then, but the Indian team had lost a lot of momentum till then. India could only reach 358 due to the poor finish, reminiscent to the finish that the Men in Blue had against South Africa in the 2011 World Cup. Virat Kohli and his troops need to find a good finisher for the World Cup as MS Dhoni would need someone who can score runs at a quick rate along with him in the death overs. As for Vijay Shankar, he may be too technically sound to be a finisher.